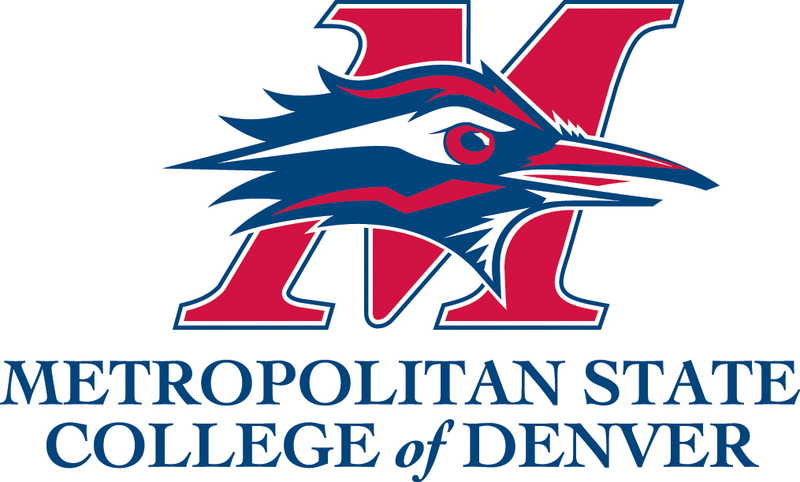 Last week the Metropolitan State College of Denver Board of Trustees voted 5-2 to pursue legislative authority to change the institution's name to "Denver State University." 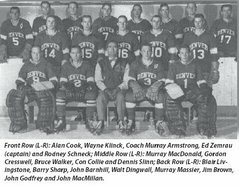 This decision has been very unpopular with University of Denver students and alumni, who felt that the name is too similar to the University of Denver and "Denver University" which it is often referred to in the media and out of state. A majority of Metro State students wanted to keep "Metro" in their name to acknowledge the history of the institution, but their votes were ignored. 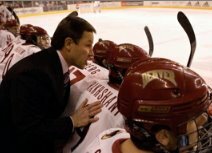 As of yet no word from University of Denver officials about their position on the subject. An Email to the Chancellor, Provost and Faculty Senate Representative went unanswered. 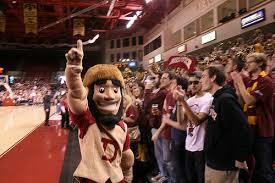 The DU Alumni Office sent out an auto reply, "Your request is being handled by a DU alumni relations staff member." 1. The bill to change the name officially was sponsored by Colorado State Senator Michael Johnson (D) and Representative Chrisanta Duran (D). 2. The Bill will be assigned to a committee in either the House or Senate. 3. If the committee approves the Bill, it goes to the floor for reading and discussion. There are three readings. If it then passes, it goes to the other chamber and the process is repeated. 4. If both the Senate and House vote approval it goes to the Governor for signature or rejection. 5. This entire process usually takes several months. The best time to weigh in is during the committee hearings in both houses. You can sign up and speak at that time. After the bill gets to the floor, only Representatives and Senators can speak on the merits of the bill. Thanks to the LetsGoDU reader who compiled this information. How about Metro University of Denver? In related news...the CC women's tennis team just knocked off Denver! Metro University of Denver is even closer to DU than Denver State. University of Central Colorado is the best choice in my book. UCC is good. = Uniform Commercial Code. Wow, that's the most intelligent thing I've heard you say about hockey. The University of Denver has a relatively simple opportunity to improve their branding here. Just change their name as well to The University of Denver. Dunlop is just excited to be able to leave Alaska in March for the balmy weather of Minnesota. Usually at this time of year he's gone back under his bridge awaiting the bill for the next years hockey tickets. I think we should look into the back ground of the rep sponsors. Wait...Is this still a hockey blog? there is a metropolitan state university in minnesota... i'm sure metro is trying to build a more unique image. unfortunately, copying DU is not the best way to be different. 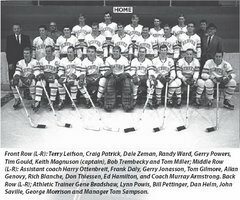 But just think - if "the College formerly known as Metro State" ever puts together a club hocky team like CSU has....they'll already be better than CC! I am up in arms! 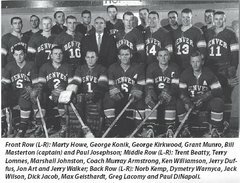 How dare a state school in Denver be named Denver State!! That is just ridiculous!!! I am in an uproar!!!! Metro's club hockey team is better known as the "Goon Squad". I made one of their goalies try to attack me once because he couldn't handle the heckling from the stands; good times, good times. 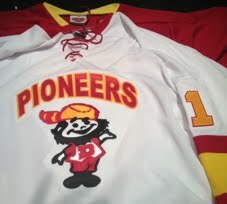 DU's club baseball team defeated "The School that wants to be Denver State" twice over the weekend 4-1 & 8-7. They will be punished on the athletic fields if they continue with this nonsense. club baseball...women's hoops... how about hockey? Lets + Go + DU = Whatever I want to post. 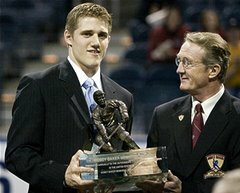 The Colorado Springs Gazette hockey blog just linked to this article in LetsGoDU. As did Fox Sports Yardbarker. Anyone that thinks that we don't have reach, that we won't get the message out, that we will give up or that we won't contact the politicians just doesn't know how we roll. 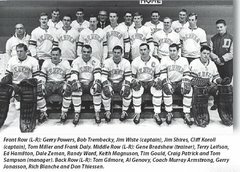 The Colorado Springs Gazette hockey blog also has a link to the UAA fan blog. BFD. KU - KSU, CU - CSU, DU - DSU. This isn't the first time institutions have chosen similar names nor will it be the last, I don't the issue here. There is no issue. All this is, is some pompous, arrogant DU fans who think they have power when they are actually powerless. It would be funny if it weren't so sad. I haven't even seen a legal basis for anything that they have claimed. There is plenty of precedence all around the country for these types of similar names for educational institutions. Their self-absorbed battle was lost before it even began. If DU people want to make this ugly go ahead, it makes you look bad. Metro State Lobbying Dates & Times at the Capitol: Wed 4/20 7:45 AM - 10 AM; Thurs 4/21 7:45 AM - 10 AM; Mon 4/25 9:30 AM -12:00; Tues 4/26 7:45 AM - 9 AM!!! I'm doing a video project on MSCDs name change and would love the opinion of a DU student.